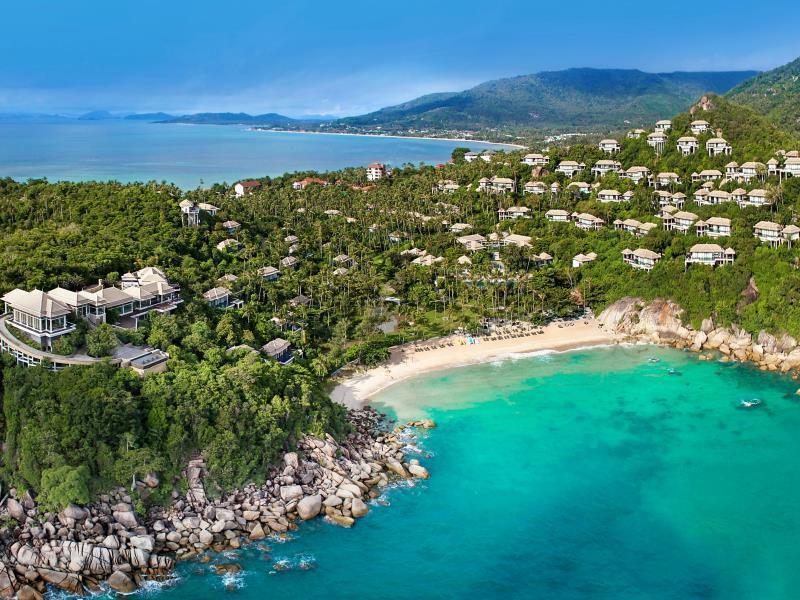 Have a question for Banyan Tree Samui? "Beautiful resort with very sweet staff and best view"
"Good sea view Friendly employee Comfortable environment Valuable come again"
"Best Luxury Resort in Samui." Come into a universe where water meets sky and cascading terraces are fringed with hill coves and an unparalleled view of the Gulf of Thailand. Swim within a blissful haven in Koh Samui. Surrounded by waters that invite, entice and serenade, Banyan Tree Samui is infused with a timeless air of delicious mystery. 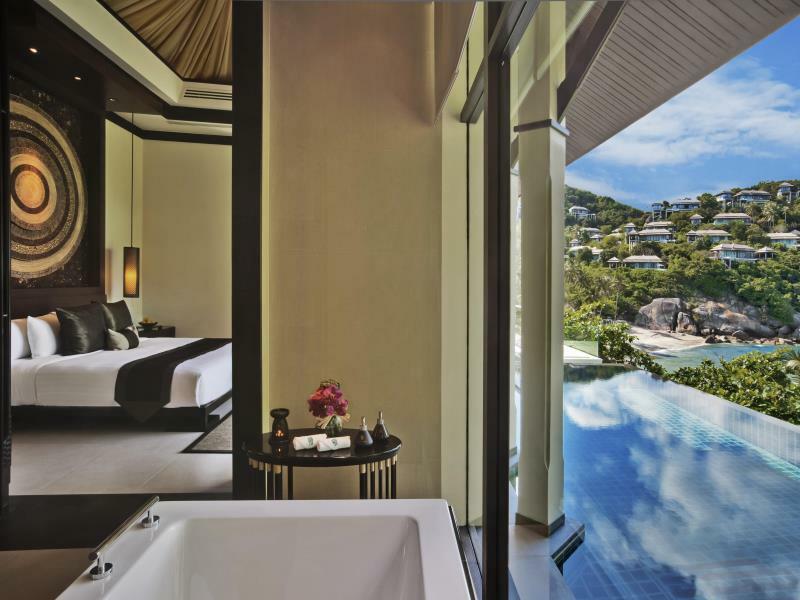 Overlooking the scenic Lamai Bay, this Samui luxury resort, featuring elevated structures designed to reflect traditional Thai architecture, is nestled in a series of cascading terraces on a private hill cove in the southeastern coast of Koh Samui. Retreat from the dizzying pace of modernity into secluded haven where the hours melt into each other gently and peace is within your touch at all times. "Good view and location, excellent service &room." The property is not recommended for families with children under 12 years old. Allowing children to stay in the villas will be at the discretion of parents with the waiver form. Children 4-12 years old, accompanying adults, can stay on sofa in the living room prepared as a bed with the property's compliments and dine at 50% off regular menu prices, except for the kid’s menu. What a great place to spend 4 days in KohvSamui. Beautiful villas, beautiful beach and amazing staff. The only downside is that the food on the property was excessively pricey. Special thanks to Villa host Dao. Most of our demands were received while she was busy in the Chinese. Amazing hotel in an amazing setting of a cove with private beach. Staff are very helpful. We went for our honeymoon and stayed for 2 nights last week. The view was magnificent. Our villa was hillcrest and was at much higher position compared to other villas. We had our infinity pool with superb view and could see sunrise in the morning. The staffs are super kind and the breakfast at the Edge was so delicious. 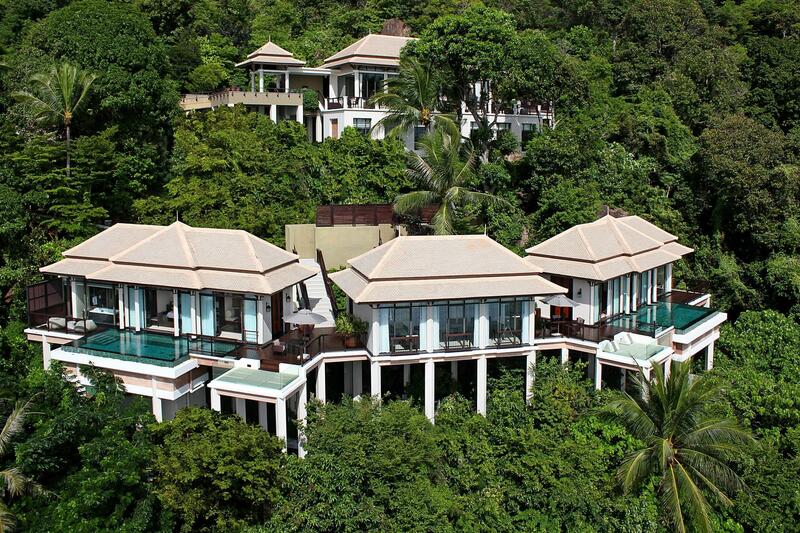 The villas are quite pricey though but it worth your money. Recommended for honeymoon and for couples. The Resort Built on a beautiful edge with stunning view. Once we arrived at the lobby, we were amazed by the view. The butler and the reception staffs are all friendly and helpful. The rooms are spacious and comfortable, suitable for couple that coming for peace. The villa pool and jacuzzi are good enough that make us spent most of our time. The saffron restaurant is a must, the thai cuisine is one of the best I ever tried. The free shuttle to the Central chaweng is available. We stay in room number B03. Everthing is good except that we smell foul smell in the pool. I guess that it came from the pond in front of the pool. They should do something about it. Other than that, well done. romantic, relaxing and big in nature. it is absolutely romantic and the view is breathtaking. the staff are very friendly. the only problem is the water piping was stuck for a few hours. but the manager compensated us with a free romantic dinner. nice. Friendly staff who will take care of your every need as well as keep time for you. So you can forget about the time and just enjoy the stay. Staff are attentive to details and even printed out our boarding pass for departure. Overall a place for happy and pleasant memories. we picked banyan tree after careful selection process, and we were really happy with our choice. from the personal butler, the check-in process, daily activity to house-keeping, it was great experience all the way. after you checked in, your personal butler will give you a cell phone in case you need to call for assistance anywhere in the island anytime. also, housekeeping will clean up the room twice a day, and a souvenir (pastries or pastries) will be offered every night. all the small details make the magic and we are really impressed!!! definitely will go back again in the future! hotel located at the corner of the island, enjoy a private beach. booked 2 villas but being allocated to a totally separate locations (one at the bottom of the hillside and one almost on the top of the hillside). but we still enjoy the stay as the villa is really perfectly designed for guest. one thing have to improve is the buggy service. even if we don't want a buggy, it is really difficult for us to walk from the beach/restaurant back to our villa. liked the privacy and discreet, personal butler service of the hotel. my wife left her ipad at the plane, but the staff managed to trace and found it for her. great service. seafood bbq was rather expensive though the food was fantastic. No words could describe how great this hotel is.We were on our honeymoon when we stayed at the villa. Great view of the sea from our villa,spacious bedroom and bathroom.The pool was great.Staffs were exceptionally friendly and polite.Great classes like yoga was a really fun experience we had during our stay.Definitely will come back to stay if we were going there again. Everything is expected given that it is rated as a top resort. What I like: - Very friendly services; - Very Child friendly; - Very relax environment. Such a beautiful hotel and friendly staffs. A must visit hotel. We arrived for three nights, slept in a ocean view villa. amazing view, very large and comfortable room, clean, excellent infinity pool. The service is just as great as you exept from hotel in this standard, received us a great hostess and we got great service from all the employees of the hotel throughout the vacation. The hotel facilities are excellent, a clean and beautiful private beach, excellent beach restaurant, good pool, very good breakfast. We'll be back again!